Ergonomics and practical benefits: With the Pro 6 Armchair with four-star wooden frame, Flötotto offers a combination of classic design with modern features. This makes it an all-rounder. Thanks to its wooden frame and armrests, the Flötotto Pro 6 Armchair is especially ideal for living rooms. The Pro series was originally developed by Konstantin Grcic for use in schools. Convinced by their concept, the designer and Flötotto developed a whole collection which would also be suitable for public and private areas. 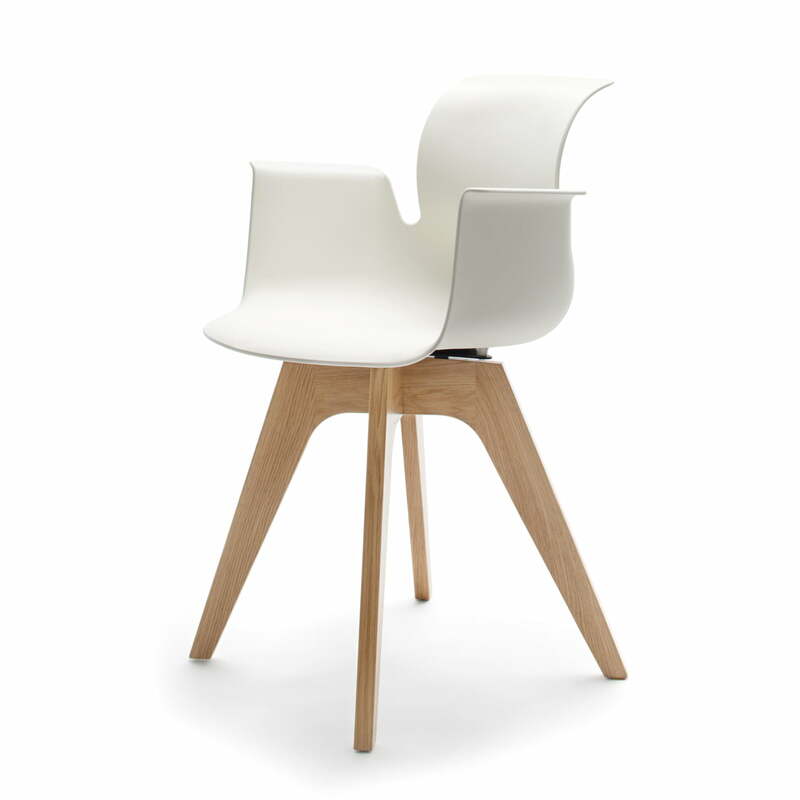 The Pro 6 Chair with wooden star-frame is one of these further developments. 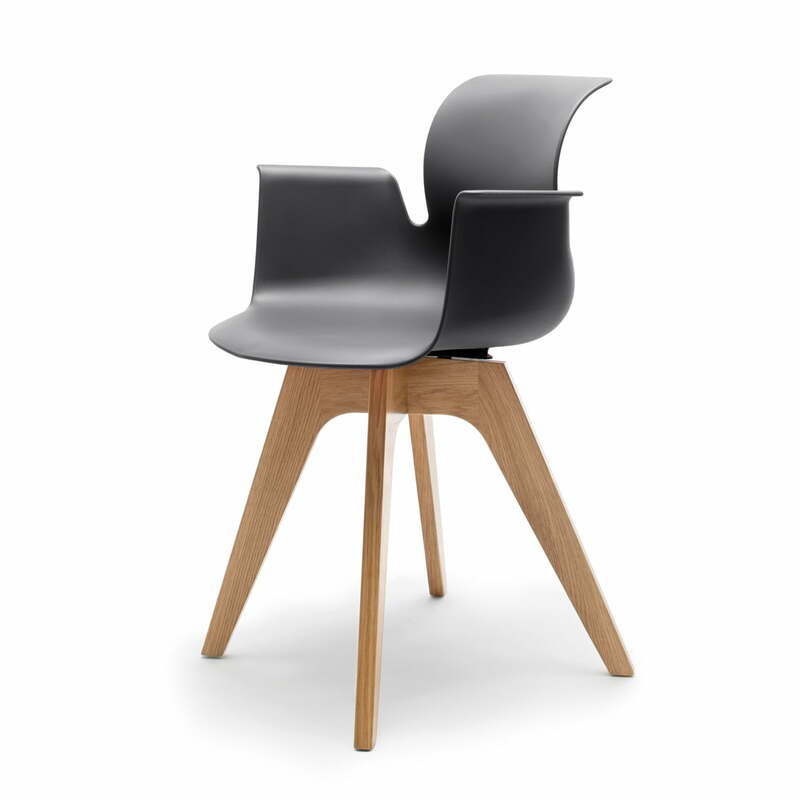 With its four-star wooden frame, the Pro 6 Chair is especially suitable for private use. Its flexibility means that it can also be used for a range of purposes. The ergonomic backrest and round seat also allow for great freedom of movement. 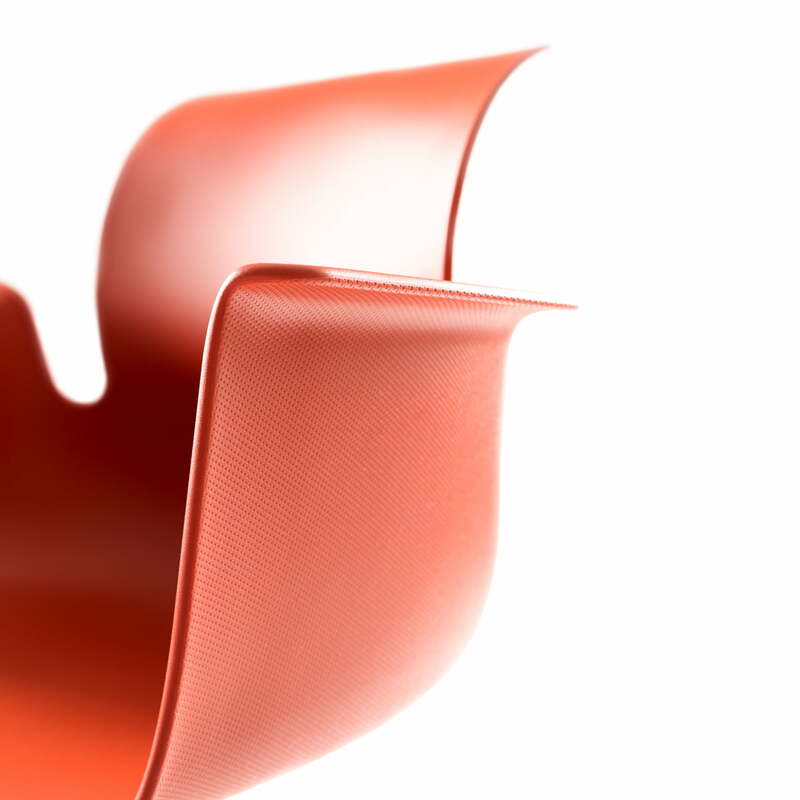 The backrests flexibly adapts to the shape of the back and therefore offers good support during daily use. Since the backrest moves with every change in seating position, the spinal column and back muscles are strengthened. The armrests provide the armchair with more comfort than other chairs and make it ideal for prolonged sitting and relaxing. All chairs in the Flötotto Pro series are optionally available with a padded cushion and without armrests. Because of its specially drilled holes, however, the seat cushion can not be attached later. Therefore, it should be ordered with the chair in advance. A swivel chair and further frames are also available – many versions ensure that the correct Pro 6 Chair can be found for almost any area. We will happy to advise you on individual configurations for the Pro Chair.